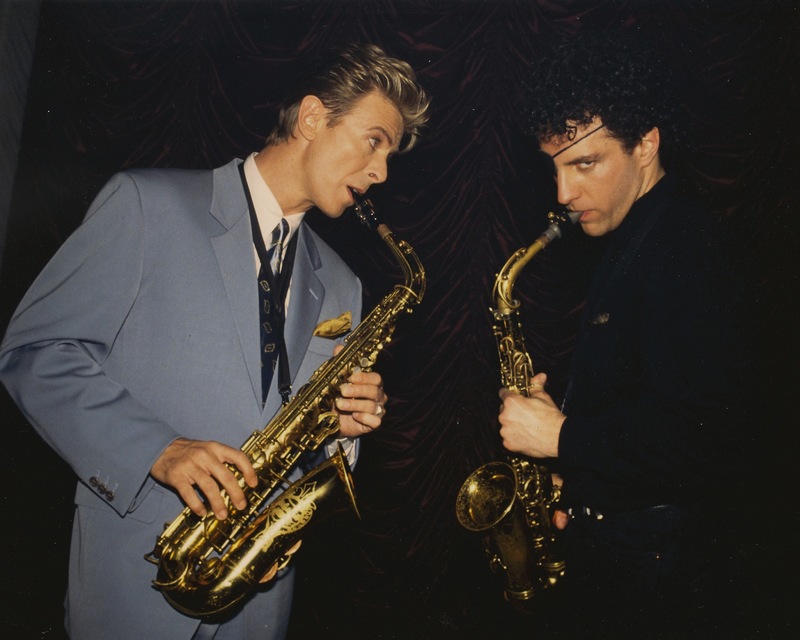 Here I am with David Bowie in a live performance on the Tonight Show in 1993 in support of his album Black Tie White Noise, which I played on. We also performed on the other talk shows of the day and made 5 videos, some of which you can find on You Tube. CONTACT DAN to book for private lessons, master classes, world-class horn sections, arrangements, and house concerts.